Pat yourself on the back if you made it through that last post. It was a bit of a slog. In my first two posts in this series, I tried to provide more historical context for the 1897 open letter exchange between T. B. Larimore and O. P. Spiegel. the tight-lippedness, one sees in recent writers who have addressed the Larimore-Spiegel exchange. I have repeatedly asked myself, “Why?” Why is Spiegel only ever described as a former student of Larimore? Where does this reserve come from? Why does it continue to appear, as recently as that FB post by John Mark Hicks? What are we to make of it? In this post, I want to suggest that the omission of details about Spiegel tells us something about the nature of history writing among Churches of Christ, as well as about the nature of the progressive-conservative dispute in mainline Churches of Christ. Prior to the ’80s, information about Larimore circulated primarily in the three volumes of Letters and Sermons and in F. D. Srygley’s Larimore and His Boys, all of which were reprinted numerous times by the Gospel Advocate Company over the years. This is hardly surprising: Larimore has always had a following among the churches all across the doctrinal and theological spectrum. Almost a full century after his death, Larimore and his preaching still carry a power that others of his generation do not. The situation changed, though, when Larimore came into focus for younger, progressive historians in ’80s and ’90s. Their output on Larimore is massive, and we won’t be able to address nearly all of it. But here’s a partial list. Pride of place must go to Douglas A. Foster, currently Professor of Church History and Director of the Center for Restoration Studies at Abilene Christian University. Foster published a book-length biography of Larimore, As Good as the Best, in 1984. He returned to Larimore in his 1986 Vanderbilt Ph.D. dissertation, The Struggle for Unity During the Period of Division of the Restoration Movement, 1875-1900. Larimore also plays a prominent role in the argument that Foster makes in his 1994 jeremiad Will the Cycle Be Unbroken?, and he appears again in Renewing God’s People, a history of the Churches of Christ that Foster co-authored with Gary Holloway in 2006. C. Leonard Allen presently serves as Dean of the College of Bible and Ministry at Lipscomb University. In 1993, Allen published Distant Voices: Discovering a Forgotten Past for a Changing Church. Chapter 20, “How to Deal with Division,” focuses on the Larimore-Spiegel exchange. To this list, we should add Rubel Shelley. Shelley, of course, is not an academic historian, but his influential manifesto I Just Want to Be a Christian (1984) gives some attention to Larimore, and does so in a way that dovetails with the treatments found in Foster and Allen. Honorable mention goes to pugnacious progressive blogger Al Maxey. Maxey is hardly an academic historian, but his Reflections blog is widely distributed. In the June 20, 2008, issue he takes on Larimore, and dwells at length on the Larimore-Spiegel open letter exchange. As with Shelley, there is considerable overlap between Maxey’s goals and those of Foster and Allen. All of these writers see something in Larimore, especially Foster. But what is it? To answer that question, we have to remember the larger context in which these works were published: the conflict between progressives and conservatives that dominated the mainline Churches of Christ during the 1980s and 1990s. That conflict was defined by disagreements over several issues, perhaps the most prominent being grace, unity, the Holy Spirit, and hermeneutics. In an important sense, it was a generational conflict. Boomer progressives came into conflict with an older generation of leaders who, for a long time, had controlled the institutional centers of power in the church — the pages of the Gospel Advocate and the Bible departments of the colleges. As they called for a re-evaluation of the theological consensus of the 1950s and ’60s, boomer progressives needed historical precedents in order to parry the sword thrusts of mainline conservatives. They needed a “usable past” (to borrow a phrase from recent historiographical studies) for progressives in mainline Churches of Christ. The historical work of Foster and Allen—but perhaps especially Allen’s Distant Voices—gave them that. This book is an exercise in remembering. It has one overarching purpose: to recover some of the forgotten or “distant voices” from the modern history of Churches of Christ. I use the phrase “distant voices” in a double sense: first, “distant” simply in that these voices come from a time now long past; but second, and more importantly, “distant” in that they are the minority voices among Churches of Christ, the voices that have been drowned out, the softer, fainter voices. Some of the voices come from people largely forgotten by the tradition; others come from major, well-known figures who held certain views now largely forgotten. We easily assume that the history of Churches of Christ is basically “the present writ small.” One may assume, in other words, that Alexander Campbell and his colleagues restored New Testament faith and order sometime in the early nineteenth century and that Churches of Christ—or at least some segment of them—have simply preserved that pattern of truth unchanged down to the present time. Today one may see a fairly fixed, uniform tradition and easily assume that this has been the story from near the movement’s beginnings. But it was not. As the tradition formed through the nineteenth and down to the early twentieth century, certain voices assumed central, controlling positions, thereby pushing other voices to the margins. These more dominant voices shaped the tradition of the twentieth-century Churches of Christ. They set the boundaries of acceptable views. They defined orthodoxy. They also interpreted, shaped, and maintained the “memory” or story of the movement, and this shaped story made clear who stood at the center and who at the margins. But these central, more powerful voices were not, simply by virtue of their power, necessarily the wisest or most astute. As Walter Brueggemann has put it, “the capacity to give authoritative interpretation [within a tradition] is a matter of social power, and not primarily a matter of insight or sensitivity.” Important insights may reside at the margins of a tradition as well as at its center, among the minority as well as the majority. Churches of Christ are now in a time when the central or dominant voices of the twentieth-century tradition are being questioned—gently by some, more sharply by others. It is a time when many people are assessing their spiritual heritage, indeed, a time when the traditional settlement of center and margin is coming under critical review. In such a time, it helps to hear some of the “distant voices,” those who once occupied a strong place in the tradition but whose views have been remembered selectively, screened out, or simply forgotten. Listening to such voices helps one glimpse a modern heritage that is broader, richer, and more diverse than one may presently suppose. Out of such listening can arise a new and perhaps more faithful settlement of center and margin. –C. Leonard Allen, Distant Voices: Discovering a Forgotten Past for a Changing Church (ACU Press, 1993): 4–5. There is much to talk about here. (And some things to criticize: in particular, some of Allen’s postmodernist assumptions have passed their sell-by date.) Be that as it may, Allen’s larger aim of recovering “distant voices” shapes everything about the book. That’s not necessarily a bad thing. I think that Allen does a great service to the churches in highlighting what he chooses to highlight. Furthermore, historiography is never totally and completely objective. All of us who undertake to write history have our own agendas. Credit is due to Allen for being up front about his. We have to acknowledge, though, that the context of the progressive-conservative fight colors the way he tells the story, especially when we come to the Larimore-Spiegel exchange. This is because, of course, Allen is not a neutral observer of the fight. He is a participant. His weapon is not the stinging article published in the Gospel Advocate, Wineskins, etc. It is the history that he is unearthing for his readers. What does Allen see in the Larimore-Spiegel exchange? Simply this: Allen, and other progressives, sought to put on the mantle of moderation and simple Christianity that they saw in Larimore over against the spittle-flecked ravings of the mainline conservative editors and preachers, lectureship speakers and preaching school faculty members who opposed them. These were, to borrow Allen’s words, the voices who had “assumed central, controlling positions, thereby pushing other voices to the margins. These more dominant voices shaped the tradition of the twentieth-century Churches of Christ. They set the boundaries of acceptable views. They defined orthodoxy.” While others might be included, it is not difficult to see that Allen would have had in mind figures like Foy E. Wallace, Jr., and his disciples, generations now of dogmatic, hardline preachers and writers. Spiegel then came to the point. He asked Larimore to declare himself on four key issues that were deeply dividing the restoration movement: the use of instrumental music in worship, the creation of missionary societies beyond the local church, attendance at “cooperative meetings,” and salary contracts for preachers. This is all that Allen says about Spiegel: he is “one of Larimore’s former students … [from] Birmingham, Alabama.” Why so little? We have already seen that there is plenty of information available about Spiegel. coming out of the mouth of an Ira Rice or a Buster Dobbs. Yet, shorn of their context, Larimore’s words to Spiegel are infused with a meaning that they did not originally possess. Once we understand who Spiegel is, the comparison that Allen and the rest were attempting to make falls flat. At the very least, it doesn’t apply with nearly the force that it might otherwise have. O. P. Spiegel, as we have seen, was not a radical conservative editor. He was a vigorous young progressive, someone who strongly believed in the “fierce urgency of now” (to borrow a phrase from MLK that was used as the title of a CSC panel on “social change within the Churches of Christ” from a few years back). He aggressively sought to flip churches to his way of thinking in a way that any gal328.org or One Voice for Change sympathizer would recognize and admire. This is an age of progress, development, and enlargement …. He [God] ordained that his people should use instruments of music in the old economy; they were never condemned in the new; they are used to illustrate the highest type of heavenly music and holy service in the world to come. In view of these facts and others, suppose I should play a weak brother, and say they must be used, etc. ; then how about Rom. 14: 10–13; 15: 1, 2? In answer to these passages see Acts 5: 29. There is utterly no excuse for weak brothers in Huntsville in 1897, not if your eldership has done its duty. Of course if it encourages weak brothers in their slothfulness and ignorance by putting a premium upon them, you may always expect to have such members. Yes, Brother Daugherty sung for you without the organ, but less than six months ago, on the streets of Nashville, he told me if the Lord would forgive him for so doing there, and several other places also, he would never do so again. He said no sensible musician would conduct the music unless the church would let him conduct it, and that no musician would risk his reputation by affirming that you could get anything like as good music out of an audience without as with an instrument. I tell you this is an age of progress, development, and enlargement, and what Daugherty did when an inexperienced boy away back in the eighties is no sign of what he will do in the nineties. No, Professor [Patton] would not sing without the use of an instrument …. I have filed your letter for future use, as an official document from that church, refusing me the use of the house to preach in at my own charge. I stand thoroughly identified with the great bulk of the disciples who have fought so many battles and gained so many victories. When I make my report they shall of course set about to have some preaching done in Huntsville, as there seems not to be a single church in the city which stands for free thought and free speech. The imperative necessity—indeed, the moral necessity—of change. The controlling rationale of progress. Or, more accurately, the confusion of the Holy Spirit with the Spirit of the Age (“progress, development, and enlargement”). When we read the Larimore-Spiegel open letter exchange with this in mind, it is Larimore who is the conservative in the equation, the cautious older man who was unwilling to buy in to the young firebrand’s aggressive program for change. And this was frustrating for Spiegel. So, in 1897, in his third year as State Evangelist in Alabama, Spiegel acted decisively to neutralize the influence that Larimore had in the churches of Alabama. He was nice about it, to be sure: the “Open Letter to T. B. Larimore” wasn’t openly hostile. But there was no mistaking what exactly Spiegel hoped to accomplish. The 1890s were, as we’ve said, a decade of transition that witnessed a shift from one church with squabbling progressives and conservatives within her walls to two churches, two separate fellowships, rapidly moving apart from each other. In drawing the lines more definitively, Spiegel made a significant contribution to that process. A bit of prognostication as we close. Painting in broad strokes. Take it, from an outsider no less, for what you think it’s worth. The issues have evolved, as well. The instrumental music question has been forcefully reopened in a way that it had not been in the ’80s. The questions surrounding women in ministry, beginning to be felt in the ’80s and ’90s, have come front and center over the past decade. Millennial progressives are motivated by a different set of concerns from those of their parents. Chief among these are issues of race and gender and sexuality—in keeping with the same issues that are currently roiling evangelicals as a whole. Indeed, a good many millennial progressives view themselves as part of the larger world of the evangelical left—not to mention the political left. They share many of the assumptions of this larger grouping; they mimic the same concerns about economic and social justice, gender equality, and the like. They draw their cues from figures like David Dark and Rachel Held Evans (to name just a couple), far more than from any representative figures from Churches of Christ. While there is much that is commendable in these new emphases (for example, the recovery of pacifism), there is much that is troubling, as well. From a generational perspective, if boomer progressives looked to Larimore—gracious, patient, unwilling to take sides—as a suitable avatar for their own self-understanding, a significant number of their children could well find one of their own in O. P. Spiegel. His brash attitude and overweening sense of his own right-ness, manifested in the authoritarian tendencies seen so clearly in his letter to the Huntsville elders—and in his demand that his teacher come down clearly on the right side of history—calls to mind the forthright dogmatism, border-policing, and hyper-sensitivity of much theology emerging from the evangelical left in our own day. To what extent do these tendencies manifest themselves on the college campuses and the lecture circuits of mainline Churches of Christ? I should say that Twitter is the petri dish from which I derive these observations. If Twitter is indeed an accurate reflection of what is and of what is to come, the spirit of O. P. Spiegel lives on among us much more fully than Leonard Allen could ever have imagined. 1897 was a watershed year. While it has become canonical, following the national religious census, to assign 1906 as the official date of a split between progressive and conservative Disciples, a page-by-page examination of the Advocate and other papers suggests otherwise. If we want to assign a date, we could do worse than setting it at least a decade earlier. 1897 witnesses a sharp uptick in hostility between progressives and conservatives. We get defections on the missionary field in Japan; J. M. Barnes asserting that he wouldn’t be seen walking down the street beside progressive leaders in his state; Vine Street in Nashville introducing the organ into its worship assemblies. We could go on, but for the purposes of this discussion, 1897 is significant because it is the year when O. P. Spiegel was radicalized. In this post, I will examine this critical year in more detail in order to understand the immediate context of the Larimore-Spiegel open letter exchange. Whatever else we might say about it, their exchange did not occur out of the blue. In this post, I will argue that Spiegel’s open letter to Larimore in the Christian Standard was part of a larger effort on his part to neutralize the influence of both Larimore and J. M. Barnes, the two most prominent conservative leaders in Alabama. Through the first years of his time as State Evangelist—up through 1896, let’s say—O. P. Spiegel pursued a more or less moderate course toward the emerging divide between conservative and progressive Disciples in Alabama. In this, he was far from unusual. As we’ve already said, this was a time of transition for Disciples across the nation. Ties between conservatives and progressives were frayed, but far from severed. Spiegel, along with most other leaders of any standing, still felt it to be in their interest to maintain ties and communication across the Disciple theological spectrum. There was conflict from time to time, to be sure. (For example, Spiegel and Lipscomb clashed in the pages of the Advocate again in 1895.) But there was also constant interaction, often positive, that counterbalanced such episodes of conflict. Like other progressive leaders during this phase of the conflict, Spiegel believed that patience and gentle persuasion would bring conservative Disciples around to supporting the work of the Alabama Christian Missionary Cooperation. His evangelistic work during the years from 1894 to 1896 reflects this belief. Many years later, he would write, “Up to after I was state evangelist in 1894–97 I could preach in ANY church of our conservative brethren and they could preach in ours.” He was right. But Spiegel’s task as State Evangelist in Alabama was far more daunting than that of a State Evangelist in, say, Ohio or Illinois. In those places, the state society might face only small pockets of opposition to cooperative work or the use of the instrument, a congregation or two here and there. The situation was completely reversed in Alabama. Only a very small number of the Christian Churches in Alabama actively supported the work of the ACMC. The overwhelming majority of the churches did not. Spiegel held evangelistic meetings for churches across the state. In most places he was well received as a preacher. 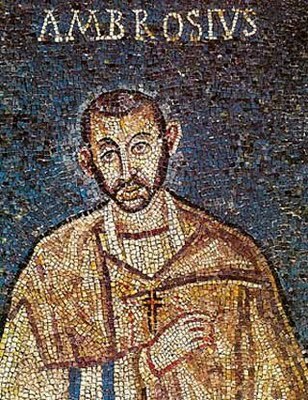 In a few places (Athens, for example) he established a Christian Church where one had not previously existed. But almost none of these churches changed their stance toward the state society as the result of a Spiegel meeting. But something changed in 1897. Suddenly we see a man who is much more aggressive, more combative, toward his conservative opponents. Why? I think in large part it grows out of his frustration in the face of the sheer scale of his job, at not being able to convince more conservatives to come over to his side of the question. This frustration begat a change in Spiegel’s overall stance toward his conservative brethren. It also begat a change in strategy. By 1897, Spiegel had come to believe that these churches did not support the society because they were in thrall to a handful of influential conservative leaders—”block-headed, would-be bosses,” he called them on one occasion—who had blinded them to the benefits of the society. As we will see, Spiegel really has two specific men in mind: J. M. Barnes and T. B. Larimore. His tactical approach to each man was quite different. With Barnes, Spiegel used the stick. With Larimore, he used the carrot. Let’s consider a few episodes from 1897 to see this new stance in action. First, a note about the geography of the progressive/conservative divide in Alabama around 1897. Alabama as a whole was politically and economically divided between its northern and southern regions. The divisions in the church reflect that same geography. There was strong progressive representation in the churches of the Black Belt, a swath of territory in the southern part of the state, extending from Tuscaloosa through Selma to Montgomery. Walker County, northwest of Birmingham, was the epicenter of a radical conservatism founded upon the doctrinal emphases of the Firm Foundation. The conservatism that held sway in much of the state’s remaining congregations had about it more of the flavor of the Gospel Advocate: staunchly opposed to societies, instrumental music, and the located minister, but also opposed to the Firm Foundation’s hardline stance on rebaptism. Herron Street in Montgomery and Poplar Street in Florence were among the larger congregations in the state. Herron Street, established by J. M. Barnes in 1879, reported a membership of some two hundred, but it was not of one mind on the issues of the day. Poplar Street, established by G. A. Reynolds and T. B. Larimore in 1886, was a fairly young church. After the departure of Reynolds in December 1896, the congregation moved in a more purposefully conservative direction. The Birmingham church, (re)established in 1885, reported 350 members in 1896, making it the largest congregation in the state. It was firmly in the progressive camp. J. M. Watson, a co-editor of the Gospel Messenger and close personal friend of Spiegel, was the minister at this point. Larimore, we mentioned in a previous post, held a meeting for the Birmingham church in January 1896 that was very well received. However, I. 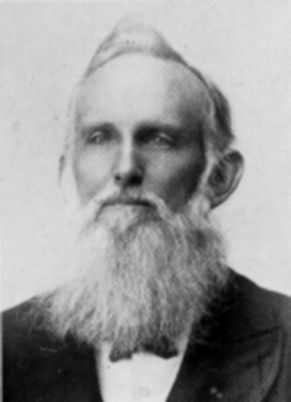 B. Bradley, preacher for the church in Russellville (and a recent graduate of the Nashville Bible School) held an independent meeting in Birmingham in November of 1896 that led to the establishment of a small, but feisty, conservative congregation in the city (eventually known as Fox’s Hall). There was great antagonism in those early years between First Christian and Fox’s Hall. At any rate, Spiegel opened his work for the year 1897 in Montgomery. There were, at this point, three churches in the capital of Alabama. The Herron Street church, alluded to above; the West End church, a mission point that was begun through Barnes’s preaching efforts in the early 1890s; and a small African-American mission point begun by S. W. Womack, with the help of the Herron Street elders, in 1896. As alluded to above, in 1897 Herron Street was, to a significant degree, still straddling the fence regarding the issues dividing conservative and progressive Disciples. N. B.: Much of the chronology that follows comes from Barnes. It must be acknowledged that, when it comes to O. P. Spiegel, Barnes is a hostile source, to say the least. We’ll see that clearly in the extracts I’ve given below. Spiegel’s own self-reflection in both words and actions, however, often bear out Barnes’s estimate of him. This and the following excerpts come from J. M. Barnes, “The State Evangelist at Montgomery, Ala.” Gospel Advocate 39.49 (December 9, 1897): 770. Spiegel’s youth (he was 30 years old at this time) and charisma, in addition to his preaching style, resonated with a significant portion of the Herron Street congregation. Barnes understood this and expressed his concerns. Spiegel understood it as well, and sought to exploit the opening that a successful meeting had given him. In the spring of this year  he returned to Montgomery, and brought with him Patton, a singer. A hall was hired, or the Recorder’s court room was secured, and Spiegel and Patton opened up with organ, a young lady educated at Highland Home, at that time a member in Montgomery, organist. By the time this meeting closed all who were unflinchingly on the Lord’s side were known, and those who went with the tide were full sectarians. Spiegel was approached on the subject of the organ. He claimed not to favor the organ at one time; at another he told a sister that he intended to have a fine church down town, and an organ in it. He studiously and wilily left with the women of the church a burlesque on a church difficulty, in which the elders, unlearned men, tried to put the organ out of a church, could not do it, separated from the church, tried to establish another church, failed, and showed themselves ridiculous creatures in everything. The stoop-low pamphlet was a fair index to the heart of the stoop-low man who circulated it. I have a very fine singer who usually goes with me. We have some great meetings. Of course some at first do not like our methods, not understanding us; but no one who hears us through fails to indorse us. Our only contract for a meeting is that we be allowed to run it as seems best to us, with the co-operation and advice of the church, that entertainment be furnished us, and then for our support we take voluntary contributions of members and friends of the church of Christ …. If we want one, two, three, or a dozen songs before the sermon, we have them; if I want Professor [Patton] to sing a fine solo to impress a truth, I have it; if I want to have one stanza in the middle of my sermon to impress in song what I am teaching, I have it. Professor [Patton] uses an organ to fill up weak places and hold all voices steady…. Quoted in F. D. Srygley. “From the Papers.” Gospel Advocate 39.43 (October 28, 1897): 673. The meeting did not come to fruition. Indeed, we might know nothing of the proposed meeting today had copies of the correspondence between Spiegel and the Huntsville elders not been anonymously sent to the offices of the Gospel Advocate in Nashville. In the Market Street offices of the Advocate, F. D. Srygley was carrying on a journalistic dispute with J. W. McGarvey. The issue was this: Srygley asserted that the state societies were actively pushing the organ onto local congregations. McGarvey denied this. (McGarvey, you will recall, supported the work of the societies, but opposed the use of the instrument in worship.) Srygley promptly published the correspondence. With Spiegel’s Huntsville correspondence in hand, Srygley had all the proof he needed that State Evangelists like O. P. Spiegel were actively trying to introduce the organ into local churches. Quoted in George and Mildred Watson, History of the Christian Churches in the Alabama Area (St. Louis: Bethany Press, 1965), 71–72. In light of this letter, Spiegel’s open letter to Larimore in the Christian Standard comes as something of a surprise. Larimore still thinks fondly of Spiegel, but Spiegel has clearly moved on. He is no longer willing to give his former teacher a pass. Again, Spiegel is trying to neutralize the influence of Barnes and Larimore in the churches of Alabama. With Barnes, he undertook a frontal assault on the Herron Street church, apparently believing that would suffice. Larimore, however, was a man with a national platform. Spiegel had to use a national platform, the Standard, in order to call Larimore out. He believed he could do it, though, because he had the institutional weight of the church (“the great bulk of the disciples”) behind him: the state and national societies, the major colleges (specifically, College of the Bible), and the major journals (the Christian Standard and the Christian-Evangelist). Did it work? No. At least not in the way that Spiegel likely intended. Accolades for Larimore’s statement poured in from conservatives all across the South. Indeed, nearly every issue of the Gospel Advocate for a couple months following the open letter exchange was filled with praise for Larimore. As the new year of 1898 dawned, O. P. Spiegel had taken a new job, leaving behind the office of State Evangelist to become the new minister of First Christian Church in Birmingham. Once there, he continued the fight he had begun as State Evangelist, in short succession starting new progressive congregations in Woodlawn and Bessemer. He continued to seek a national platform for his mission. In October 1898, at the annual meeting of the American Christian Missionary Society held in Chattanooga, Tennessee, Spiegel delivered a keynote address, “The South as a Mission Field.” The text of the speech doesn’t survive, but the title alone gives us some insight into Spiegel’s mind. The South, indeed, was a mission field–but a specific kind of mission field. It was filled with churches that were not cooperating with the work of the ACMS. Because of that, it was ripe for attention from society-supported missionaries. There is something in God’s book called “the Church of God,” “the Church of Christ.” There is nothing named “Christian Church.” Those who “speak as the oracles of God speak,” can call nothing on earth “the Christian Church.” The people that worship at the corner of Hanrick and Herron Streets, and that are now carrying on the tent meeting at Wilson’s Grove, conscientiously believe that it is the duty of Christians to “speak as the oracles of God speak.” They are not “the Christian Church,” they are “the Church of God, the Church of Christ,” or they are nothing. The public are hereby notified that they are not “the Christian Church,” or any part or parcel of it. We invite all who love a pure speech to help us to hold fast the form of sacred words, and make a complete return to the language of the spirit of God. Harmon’s Central Christian Church began its work with 14 members drawn away from Herron Street by Spiegel and Harmon. It only lasted a few months, however. Harmon left for Atlanta in September 1898, and the church withered. In our final post, we will turn back to today. I read this book some twelve or fifteen years ago, when a boy, but read it a second time with more interest and benefit, because better prepared to receive it. It is simply a commentary on Revelation given in the form of lectures. It is a very common idea that if one is not just a little “unbalanced,” he is at least wasting time in studying or preaching from Revelation. Hence this part of the Book is usually neglected. People take it for granted it is something not to be understood, so pass it by. In our Bible course of study at Lexington, I remember there was scarcely a hint at Revelation. Excellent as it is, I believe it could be improved by including this important part of the scriptures, if it was only to give a few leading points as to how it should be studied to be understood. While one may not agree with all the author says, there are certainly many excellent suggestions that stimulate one to study the last words of Jesus to the churches and the world with a new interest. Why call it a revelation if it is a mystery not to be understood? McCaleb, of course, was an 1891 graduate of the College of the Bible (in the same graduating class with O. P. Spiegel as it happens). This nugget of insight into the curriculum at Lexington helps us understand a bit more fully the disputes that broke out in the churches over premillennialism two decades later.